“All I want is an end to this, some kind of promise that we won’t keep spinning in the storms and the filth and the chaos.” – ‘Rivers’. Michael Farris Smith. Smith’s dystopian vision of an America besieged by rain, showers and rapaciously lethal storms is a rich, multi-layered literary affair, as much a meditation on the nature of loneliness, a paean to lost love, as it is an unsettling study of human greed and its appalling consequences. Gathering together the cast of characters ‘Rivers’ principals are a morally ambiguous batch, often performing in such a manner that does little to encourage reader empathy. Curiously though, it’s the author’s unflinching portrait of desperation and the spirited compulsion to go on, to endure life no matter how dark a place circumstances land his characters in that ultimately endears Smith’s characters to his audience. These are recognizably plain renditions of people who have had their loyalties tested, their world-view stained by an interminably awful despair and their dreams repeatedly smashed and drowned on a near daily basis. Certainly for the most part this is a relentlessly dour journey for the reader – there are few flashes of humor to be found here and that is as it should be given the perpetually drenched and dismal world Smith depicts. Bewildered by an soggy intemperate and dangerous climate, the cast of characters are, for the most part, functioning in an almost primal state of need and glum gratification. The novel’s primary focus is Cohen, a thirty-something fellow whose miserable recent past has confined him to be content barely existing up in his flooded home, surviving along with an unnamed dog in one of the few rooms that isn’t water-logged. Cohen’s life is dreadfully basic until he embarks on a perilous visit for supplies and food from a trader named Charlie who warns him, “you might think about moving on, Cohen”. The line has a two-fold meaning (much like the novel’s title does, too, by and by) as Cohen makes the mistake on his return journey of uncharacteristically altering his routine and aiding a party in need, subjecting himself to a violent altercation. Abruptly his life is irrevocably altered again. Smith’s novel uses Cohen to show a United States which is anything but united. Due to the incessant flooding the government has established a demarcation line further north, effectively leaving those below that line in an unruly and brutal landscape where thieves, murderers and dime-store prophets are effectively given carte blanche to plunder and pervert. It’s a dangerous environment, allowing for woefully misguided characters to indulge and implement their baser desires upon a tattered society upon an “earth soaked to its core and slowly devouring itself”. Where Smith’s novel arguably falters it is where the author hammers home his discourse, pouring on the the obvious biblical references as espoused by one character and accompanied by a section of the text that deals with the themes of Thomas Mann’s novella, ‘Death In Venice’. This latter fault is where much of Smith’s erstwhile narrative subtlety is somewhat chafed as the author gives rather heavy-handed pointers as to the fate of one particular protagonist. There are instances of various rather simplistic symbolic references threaded throughout the story that underscore Smith’s thin, but ever present optimism concerning the human condition – one character is named Mariposa, for example – but this is fundamentally a sublime work of fiction, albeit fractured somewhat by thematic over-emphasis. ‘Rivers’ exalts in the indomitable nature of the human spirit no matter how hopelessly desperate things appear to be. 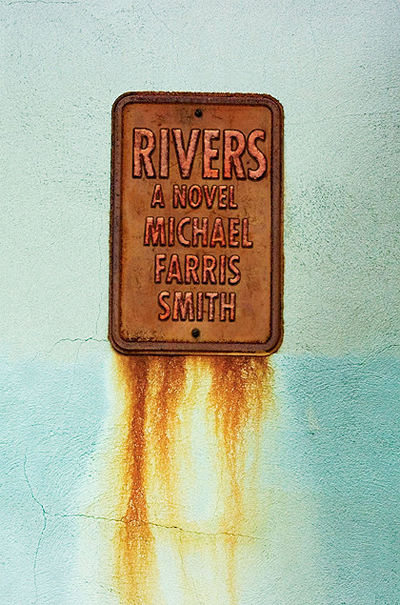 ‘Rivers’ deals with many similar ideas that can be found in Cormac McCarthy’s ‘The Road’ and much like McCarthy this author has a unique literary voice; an intriguing approach to narrative structural concerns and incisive use of diction with only marginal textual bloat. It’s a profoundly poignant read, a novel that transcends genre, a story that resonates agreeably in the mind long after finishing the last page and Smith is, on this evidence, most definitely a novelist to keep a sharp eye out for in the future. I’ve got to say, I’m REALLY curious about this one.